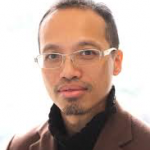 Professor Kevin AU co-founded the CUHK Center for Entrepreneurship and serves as the current Director. He is also Director of the Centre for Family Business. His research interests are international management, entrepreneurship, family business, and social network. He has published dozens of academic articles, teaching cases, and book chapters, and served on the editorial boards of several academic journals. He has provided consulting and training for the government and business corporations. 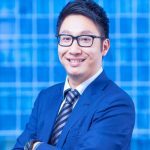 His clients include the Central Policy Unit, Hong Kong Cyberport, and a number of business startups and family businesses in Hong Kong. Besides research and consulting, he serves as a director for the Hong Kong Business Angel Network Ltd.(HKBAN), Family Firm Institute (USA), and International Study of Entrepreneurship Education Outcomes (ISSEO). He is an active angel investor on a few startups. In the capacity as Chairman of the Successful Trans-generational Entrepreneurship Practices (STEP) Project of the Asia Pacific Consortium, he worked with dozens of schools in Asia and Babson College to promote family business research in the region. In the public domain, he is currently member of the Social Enterprise Advisory Committee and the Social Innovation and Enterprise Task Force, a sub-committee of the Commission for Poverty. Professor Christine Chow has 18 years of experience in the investment management, research and consulting industry. Her PhD thesis on responsible investment was short-listed for a United Nations award in Sweden for industry relevance and academic excellence. She has worked for multinationals such as Merrill Lynch, Schroders and Aon Hewitt. In the late 1990s, she was responsible for establishing strategic partnerships in China for the Schroders Group. In 2000, she conducted investment management training for one of the largest fund management companies in China – China AMC – and supported the company in setting up their first mutual fund. In addition, she was a management consultant and pitching mentor to the InvestHK StartMeUp Programme 2013; responsible for screening and evaluating 380 start up applicants to the Programme from 38 countries and 6 continents. She is currently an Adjunct Associate Professor within the Department of Finance at the Hong Kong University of Science and Technology (HKUST) and a Member of the Greater China Committee of the Hong Kong Retirement Funds Association (“HKRSA”). In 2015, she was appointed the Asia Co-Chair by the US Consulate General who brings top private equity, venture capital and real estate funds to Hong Kong on a Certified Trade Mission. Professor Chow is a graduate of the London School of Economics and the University of Melbourne. She has also completed an executive education course on Financial Engineering at Stanford University. Professor Veronique Lafon-Vinais is a seasoned market professional with over 20 years of banking and capital markets experience. 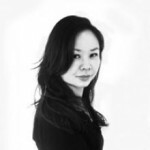 She has worked in all the major financial markets, starting with European markets (Paris, London, Madrid), moving to North America (Chicago) and most recently Asia (Hong Kong). She has extensive experience in all the major debt markets including loan syndications and assets sales (par and distressed debt), money markets, debt capital markets (including derivatives structured products distribution) and structured, trade and project finance. A seasoned loans and syndications specialist, Veronique developed the secondary market for loans at First Chicago in London and was also involved in the development of the EMTN market at its inception. She arranged and syndicated plain vanilla and structured transactions in Europe, the US and Asia for sovereign, public and corporate entities including the Kingdom of Spain, Republic of Ireland, Kingdom of Sweden, ICO, ARCO Chemicals, Sinopec, COSCO, Cathay Pacific, FECSA, Endesa, Motorola and numerous financial institutions. She is now dedicating herself full time to education and teaching as Associate Professor of Business Education, The Hong Kong University of Science and Technology, where she teaches in the MBA/MSc programs as well as in the Undergraduate Programs, and professional training and consulting for the finance industry. She is the Associate Director of the tri-degree World Bachelor in Business Program, Associate Director of the Centre for Asian Financial Markets at HKUST and Project Director for the HKUST-NYU Stern MSc in Global Finance. Professor Marie Rosencrantz has 19 years of experience in management consulting, development / sustainable finance and diplomacy. Through Rosencrantz & Co, the consulting firm that she founded in 2009, Marie manages consulting engagements for investment clients and development organizations. Her clients include leading global private equity and impact investment firms and organizations, as well as the UK, Swedish, Swiss and Belgian development finance institutions. 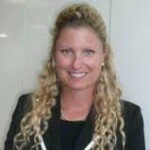 Marie was a consultant with McKinsey and was the head of the Italy office of the Swedish Trade Council. Marie helped launch the Global Fund to Fight AIDS, Tuberculosis and Malaria, which currently mobilizes and invests nearly US$ 4 billion / year to support programs in more than 140 countries. She was employed with the World Bank Group, working at the World Bank’s headquarters in Washington D.C., and worked for the World Bank in Morocco and Indonesia as a Stanford Fellow. Marie also worked as a diplomat with the Swedish Foreign Service. Marie represented Sweden to the OECD’s Development Assistance Committee (DAC) and was responsible for the economic and commercial sections of the Swedish embassies to Colombia and Italy. Before starting her own consulting business, Marie was employed with the UK development finance institution CDC Group plc. as Socially Responsible Investment Manager. CDC became the first client of Rosencrantz & Co as Marie launched her own consulting business. Her firm, Rosencrantz & Co, helped CDC develop its widely used Toolkit on Environmental, Social and Governance matters (ESG) and to roll out a training program on ESG for CDC’s fund managers across the emerging markets. Marie currently serves as a member of the Hong Kong Board and the Board Program Committee of EMpower, the emerging markets foundation. She was previously a Board member with Charity Rating. Marie is a network partner with the global consulting group Hystra, which works in partnership with Ashoka to promote and expand the work of successful social entrepreneurs. Marie has an Economics B.A. degree from Stanford University, a M.Sc. degree in Development Studies from the London School of Economics and a MBA from Insead. 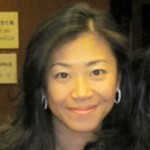 Professor Elsie Tsui is the Project Director of the Center of Entrepreneurship. She has extensive experience as both a corporate executive and a management consultant. Prior to setting up her consulting business, she has worked for the Asia office of !What If? Innovation Partner, a leading innovation consultancy, based in Shanghai. Specialising in innovation management, innovation capability building and organisation transformation, she has led many high impact training and workshops for the leaders from Fortune 500 companies across Europe and Asia. She has also adopted business innovation methodology to support social innovation in the non-profit sector. Before starting her consulting career, Elsie has worked for Coca-Cola China for 8 years. As the deputy head of the Public Affairs & Communications function, Elsie has led a cross-regional team of 14 people, covering Hong Kong, Taiwan and mainland China. She was also instrumental in setting up an in-house training and mentoring project called the PAC Institute for her team and the business partners. With the passion in teaching, Elsie used to teach the Innovation and Change Management module, a part of post-graduate diploma programme for the Institute of China Business, Hong Kong University SPACE. Elsie majored in Sociology and minored in Journalism & Communications at the Chinese University of Hong Kong, and graduated with the first class honours. She also holds a MBA from the Judge Business School, University of Cambridge, UK. She is now pursuing her DBA at Grenoble School of Management researching about the collaboration networks of social enterprises in Hong Kong, using the social network analysis methodology. Elsie was born in Thailand and grew up in Hong Kong. She has worked in Hong Kong, Shanghai and the UK, and speaks fluent English, Cantonese, Mandarin and Thai. Bear is a Full-time Teaching Assistant of the Department of Management, CUHK. He studied MA in Language Studies in the City University of Hong Kong. He had worked in HKUST Business School to handle the program logistics in Executive Education program. In the past year, he also assisted in both MBA and EMBA courses in CUHK. Kieran is an MBA student from the Hong Kong University of Science and Technology, and currently interning at SOW (Asia) Foundation Limited, an accelerator for social enterprises. Prior to his MBA, Kieran started his own business venture in the US and had worked in manufacturing in Asia. Kieran also holds a degree in Computer Science, with a focus on Artificial Intelligence, from the University of California, San Diego.